The Antioquia department was once known for the infamous Medellín drug cartel and skyrocketing crime rates. Since the 1990s, Medellín has turned into a cultural and economic hotspot that attracts not only tourists but also foreign investors. Although the area around Antioquia's capital has made remarkable economic progress, many people continue to live a life in crippling poverty. At an altitude of around 2,130 metres above sea level lies the city of Ríonegro, located roughly 45km outside of Medellín. Medellín is the capital of the "Antioquia" department and is the second largest city in Colombia. What was once one of the most dangerous cities in the world has blossomed into a vibrant spot of great cultural and economic importance. However, looking for a more tranquil place to spend their lives, many antioqueños have moved to Ríonegro. The city is well-connected to Medellín and now hosts the region's busiest airport. It has a total population of around 110,000. Economic growth in and around Ríonegro has been overshadowed by fairly high levels of poverty. According to the United Nations Development Programme (UNDP), around 44 per cent of Ríonegro's population are poor. Tens of thousands of people in Antioquia have been displaced as a result of the on-going internal conflict between left-wing guerrilla groups, paramilitary forces and the military. 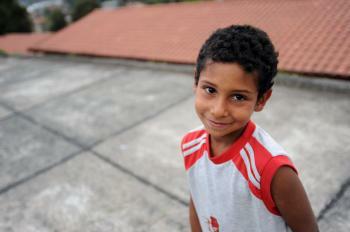 As a result, many children grow up poor and without parental care. Around 30 per cent of households in Ríonegro lack proper sewage systems. Even access to electricity and running water is not available for everyone in the region. Although crime rates in Ríonegro may have dropped and may not be as high as in nearby Medellín, nearly six per cent of rionegreros have moved away during the last five years because they have been threatened with murder. In such conditions, children from poor families - especially those who work in the streets - often end up in a vicious cycle of crime and drugs that is hard to break. The work of our organisation in Colombia began in the 1970s. For many years, the country was heavily affected by the drug trade and a long-running civil war that displaced tens of thousands of families all across Colombia. Many people who used to live in rural areas of Antioquia were forced to leave their homes against their will and moved to Medellín and Ríonegro. A large number of forcibly displaced Colombians have lost everything and are now struggling to survive in an unfamiliar urban environment. Although the government offers humanitarian assistance for a limited period of time, life for the displaced is extremely challenging. These children often do not go to school and cannot meet even their most basic needs. 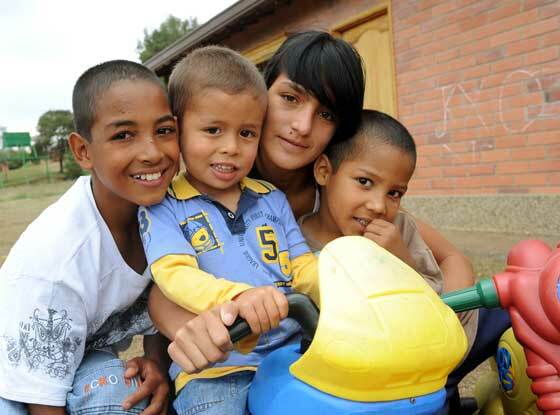 In order to respond to the difficult socioeconomic situation that many children and young people in Antioquia are facing, SOS Children's Villages decided to start working here in 1996. Our organisation is now offering an integral package of services to the population in need of support. Care in SOS families: Up to 133 children from the region who have lost parental care are affectionately being cared for by our SOS parents. They grow up in loving SOS families at the SOS Children's Village Ríonegro. Wherever possible we work closely with the children’s family of origin, so that they can return to live with their families. Whenever this happens we work towards supporting them during the period of change and adjustment. Support for young people: The SOS Children's Village Ríonegro also includes an SOS Youth Programme where young people are supported while they attend vocational training or go on to higher education. Some of the former SOS children are granted a scholarship. With the support of qualified staff, the young people develop perspectives for their future, learn to shoulder responsibility and increasingly make their own decisions.